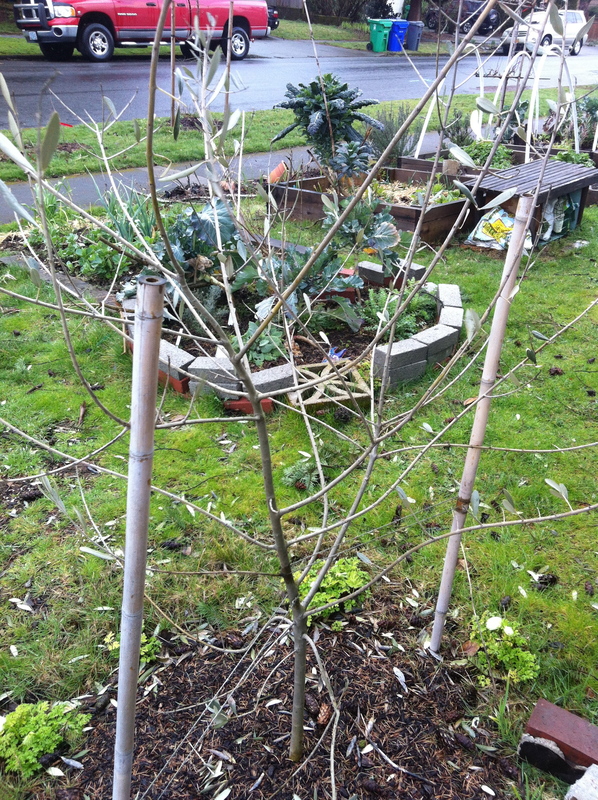 I’m now in week 7 of the Oregon State University Master Gardening program, online. We’ve gone through Basic Botany, Soils and Compost, Vegetable Gardening, Entomology, Sustainable Landscaping, and Container Gardening (this week). I have another two months to go, or so, and I have to say, I am savoring each and every week. This is a different experience for me than other adult, long-term educational programs I’ve taken as of late. I treasure the readings, lectures, and homework, and am beside myself waiting to put my education into practice. This week’s lesson, fortunately, was on container gardening (not only growing tomatoes in pots, but houseplants as well), and I was able to apply my education to indoor plants this week. I went into the lesson thinking we’d be learning about spider plants and peace lilies. I didn’t think I related at all to this lesson, until I looked around and saw how many plants we have inside. And got to work. 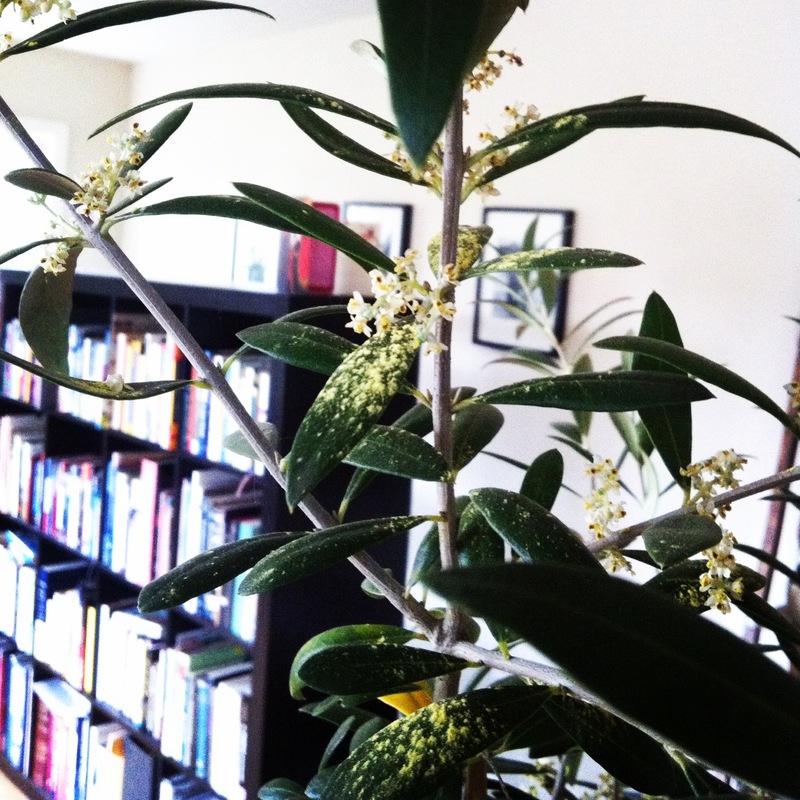 I’m not fertilizing my container plants enough: I have an olive tree and lemon tree that I’m keeping indoors this winter. I have barely been fertilizing them based on recommendations that come with each plant. Both are now flowering, which requires even more care towards feeding them with fertilizer. I’m paying more attention to this going forward. We also have a number of other forever indoor plants that require planned fertilization. For container plants, you have to play Mother Nature, and provide food (fertilizer), water, and care. I’m doing ok with watering my container plants: I water my outdoor/indoor plants each week, checking the soil first before doing so (the lemon verbena only needs water every fortnight). I keep my plants in the right places: Learn what kind of light your plants need when indoors. 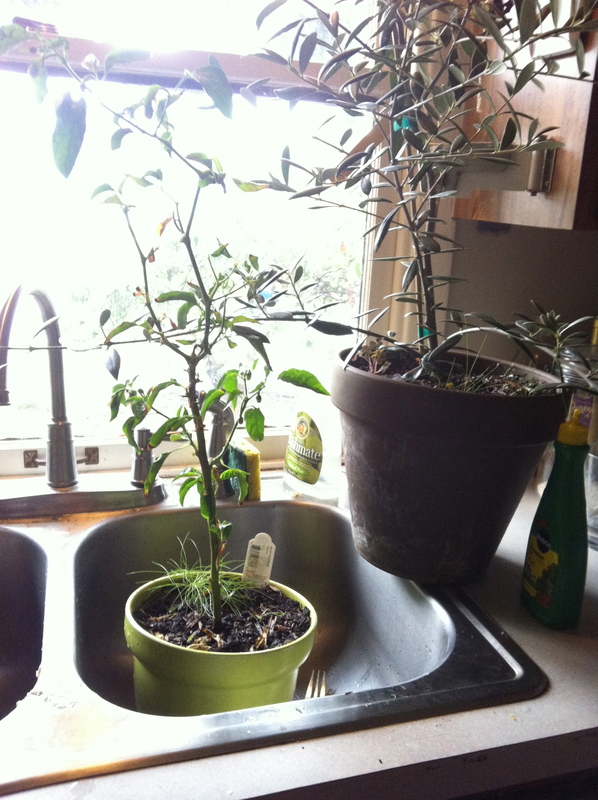 I keep my lemon tree, olive tree, and lemon verbena in the south-facing window. My rose and lemon scented geraniums I keep in the east side of the house, and they seem to do quite well there. Here’s a shot of what my kitchen looks like during watering day. Crowded in our little kitchen! 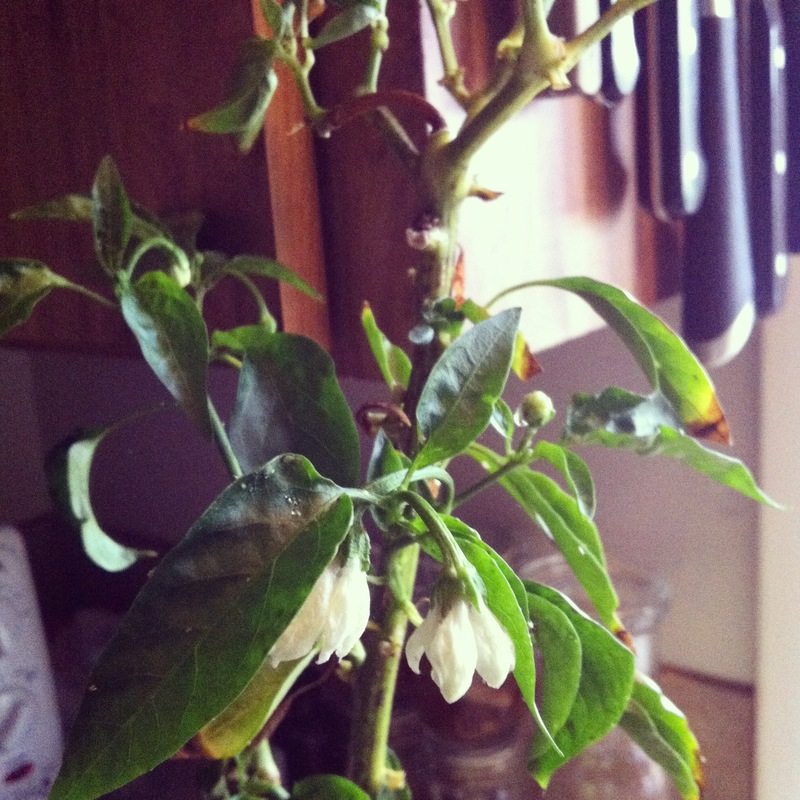 Surprise pepper flowers! This ancho was grown last summer in a container, and I brought it inside to ripen it’s last fruit (which ripened in November). It’s still alive and now flowering! Wish I had bees around to pollinate. May try to do so by hand. I keep the “buck” arbequina olive tree in a container, and planned to use it to help pollinate the outdoor italian olive tree (which needs another variety to make fruit; the arbequina itself does not require another variety, it self pollinates). Interestingly, it flowered a few weeks ago. I’ve been saving the pollen just in case (can you do that?). My poor Italian olive. Lost most leaves over the winter. I’m thinking the big freeze last year was devastating. I hope the axillary buds pull through and it survives. But I’ll tell ya, if it doesn’t make it, I’m putting the persimmon tree here. Previous Post New natives from EMSWCD – why natives are great for the garden!